The contest is open to any writer who has never been contracted in book-length fiction (40,000 words or more) from any publisher. The contest is also open to any author not published in the last three years and never in mystery suspense (please see the rules for eligibility). Opened Jan. 15. Deadline March 15. The contest is open to writers not published in book-length fiction during the past five years. For the purposes of this contest, “book-length fiction” is defined as 40,000 words or more and “published” means having fully executed a contract with an RWA-recognized publisher. Self-publishing does not disqualify the entrant. The Royal Ascot is the only RWA chapter contest for unpublished writers devoted exclusively to the Regency, broadly defined for the purpose of the contest as between 1780 and 1840 and set within the United Kingdom. Open to unpublished authors and published writers seeking representation and/or a publisher. Opened Feb. 21. Deadline April 1. All work must be the author’s original work that has never been published in any form ever, and has not been contracted for publication prior to the entry deadline of April 1, 2014. All categories, except the Published Author category, are open to entrants who have not published and not contracted in any novel-length fiction within the past three (3) years or as of April 1, 2011. Authors who have published or contracted for novel-length fiction within the past three years, including e-books or books published with recognized and non-recognized RWA publishers are considered published and are eligible for the Published Author category only and no other categories. Opened Feb. 14. Deadline April 1. The Carol Awards are ACFW’s recognition for the best Christian fiction published by traditional publishing houses in the previous calendar year. Entry must be a work of original fictional narrative prose that is offered for sale to the general public through print or digital media. The author must not participate financially in the production or distribution of the work. The novel must be written from a Christian worldview in any Christian fiction genre through a publisher on ACFW’s Recognized Publishers list* and for which the author did not participate financially in the production or distribution (did not enter into a subsidy contract of any kind) and was/is paid royalties. Authors or publishers of e-book entries can submit 5 copies of a standard bound book with cover art and copyright page or 5 copies spiral bound. No electronic copies will be accepted. Opened Jan. 2. Deadline March 15. The contest is open to those published in book-length fiction. There is no limit to the number of entries per author or per category, but each book may only be entered in one category and must have a 2013 copyright or a 2012 copyright and 2013 first publish date (see rules for details). Membership in Romance Writers of America and/or MRSRWA (KOD) is not required. Opened Jan. 15. Deadline March 15th. The first annual National Excellence in Romance Fiction Award celebrates published romance novels and novellas and is judged by romance readers. Open for books published in 2013. Opened March 1. Deadline April 1. 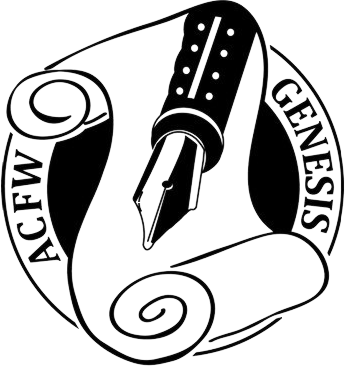 The Genesis Contest is the ACFW contest for unpublished Christian fiction writers. Genesis has a number of categories/genres to enter, the opportunity for unbiased feedback on writers’ work by published authors and experienced judges, and the chance for the category finalists to have their work read by Christian publishing house editors and literary agents. ACFW has been pleased to see many previous category winners and finalists move further in their writing careers to become published authors. We have many Chicken Soup for the Soul® books in development and are adding new titles all of the time. We are always looking for new stories and poems and hope you have some for us to consider. Take a look at the list of our future book topics to see if you have a story or poem on a subject we are looking for and then please submit it to us.